Successfully Added H96-P DLP Mini Projector-100 Lumen, Android 6.0, 2GRAM+16G ROM, Dual band wifi, Bluetooth to your Shopping Cart. Android 6.0 Mini DLP projector is a smart TV in your pocket. Bring your movies presentations video games and pictures to life on the big screen with the H96-P portable mini projector. 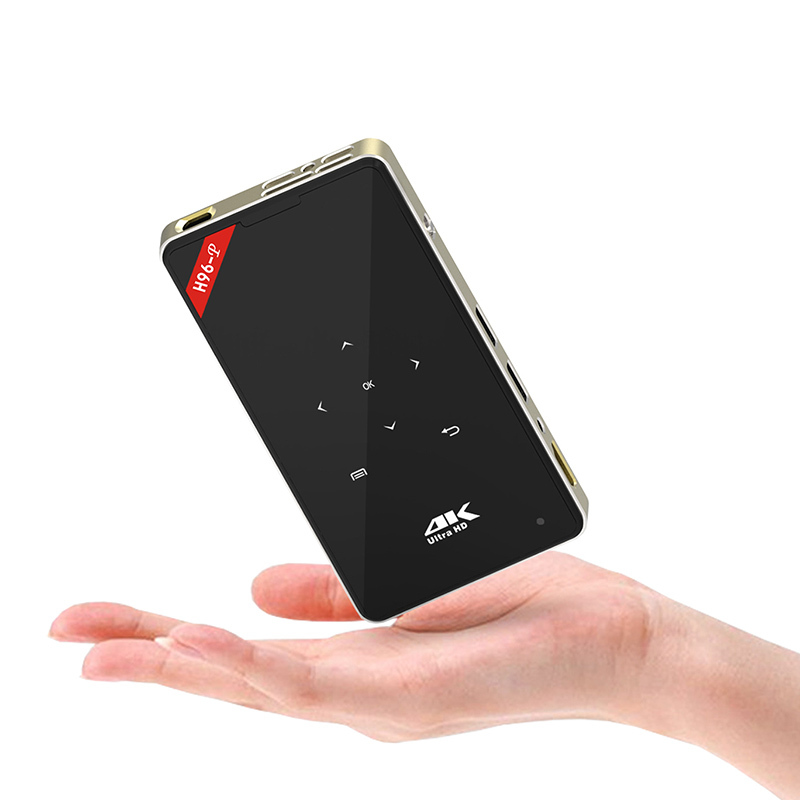 Featuring an Android 6.0 operating system and coming with Bluetooth as well as Wi-Fi connectivity this compact pocket size projector allows you to wirelessly connect to your Smartphone, tablet pc, laptop and many more devices. Now you can enjoy your favorite content without the hassle of any cables or wires. This Android 6.0 projector has a Amlogic S905X ,4xARM Cortex A53/1.5GHz CPU and 2GB of RAM for a strong performance and the native 854x480 resolutions can be displayed in 16:9 aspect ratios. With a 1000:1 contrast ratio and projection range from 0.3 to 4 meters this short throw projector has everything you need for portable entertainment. A projection size of 30 to 200 inches means you can carry around a large screen in your pocket, great for those work presentations, movie nights with the family or long journeys. With the access to Google Play store and media players as well as access to Netflix and other streaming apps there is a wealth of rich content for this mini DLP projector as it like a fully fledged TV box. It has full support for all the popular video formats up to 1080P as well as compatibility with H. 265 files that with advanced compression techniques ensure you can make the most of the 16GB of built in memory, however the micro SD card support allows for a massive 32GB of extra storage. The projector contains a 4000mAh battery that brings about 2 hours of usage time so whether your surfing the web, playing games, watching films or presenting in front of the board there's sufficient usage time for all your needs. This mini DLP projector comes with a 12 months warranty. brought to you by the leader in electronic devices as well as wholesale mini projectors..